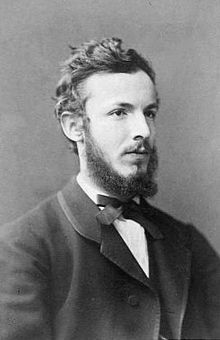 Georg Ferdinand Ludwig Philipp Cantor (3 March 1845 – 6 January 1918) was a Russian-born German mathematician and philosopher of Danish and Austrian descent, most famous as the creator of set theory, and of Cantor's theorem which implies the existence of an "infinity of infinities." Had Mittag-Lefflerhad his way, I should have to wait until the year 1984, which to me seemed too great a demand! The least particle ought to be considered as a world full of an infinity of different creatures. My theory stands as firm as a rock; every arrow directed against it will return quickly to its archer. In re mathematica ars proponendi quaestionem pluris facienda est quam solvendi. However, he was born in Copenhagen, of Jewish parents, of the Portuguese Jewish community there. The totality of all alephs cannot be conceived as a determinate, well-defined, and also a finished set. This is the punctum saliens, and I venture to say that this completely certain theorem, provable rigorously from the definition of the totality of all alephs, is the most important and noblest theorem of set theory. One must only understand the expression "finished" correctly. I say of a set that it can be thought of as finished (and call such a set, if it contains infinitely many elements, "transfinite" or "suprafinite") if it is possible without contradiction (as can be done with finite sets) to think of all its elements as existing together, and to think of the set itself as a compounded thing for itself; or (in other words) if it is possible to imagine the set as actually existing with the totality of its elements. As quoted in Out of the Mouths of Mathematicians : A Quotation Book for Philomaths (1993) by Rosemary Schmalz. What I assert and believe to have demonstrated in this and earlier works is that following the finite there is a transfinite (which one could also call the supra-finite), that is an unbounded ascending ladder of definite modes, which by their nature are not finite but infinite, but which just like the finite can be determined by well-defined and distinguishable numbers. I entertain no doubts as to the truths of the transfinites, which I recognized with God’s help and which, in their diversity, I have studied for more than twenty years; every year, and almost every day brings me further in this science. As for the mathematical infinite, to the extent that it has found a justified application in science and contributed to its usefulness, it seems to me that it has hitherto appeared principally in the role of a variable quantity, which either grows beyond all bounds or diminishes to any desired minuteness, but always remains finite. I call this the improper infinite [das Uneigentlich-unendliche]. Mathematics, in the development of its ideas, has only to take account of the immanent reality of its concepts and has absolutely no obligation to examine their transient reality. If there is some determinate succession of defined whole real numbers, among which there exists no greatest, on the basis of this second principle of generation a new number is obtained which is regarded as the limit of those numbers, i.e. is defined as the next greater number than all of them. Variant translation: No one shall expel us from the Paradise that Cantor has created for us. In 1874 the German mathematician Georg Cantor made the startling discovery that there are more irrational numbers than rational ones, and more transcendental numbers than algebraic ones. In other words, rather than being oddities, most real numbers are irrational; and among irrational numbers, most are transcendental. After being relegated to an obscure mid-tier university, blocked from leading journals and openly mocked by his peers, including his former mentor, the late 19th century German mathematician found refuge for his groundbreaking work on infinities in, of all places, the Roman Catholic Church … Catholic theologians welcomed Cantor's ideas, which provided a workable way of understanding mathematical infinities, as evidence that humans could grasp the infinite and could also, therefore, have a greater understanding of God, himself infinite. Text of the 1891 diagonal proof.